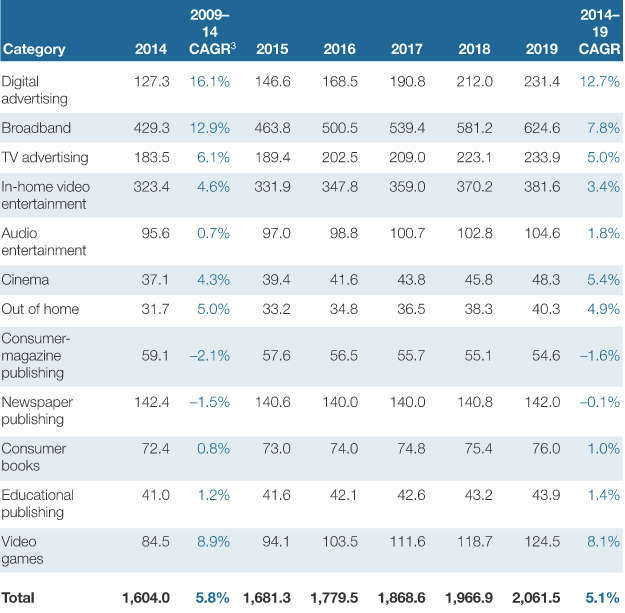 Online advertising is growing year over year outperforming the other industries of the global advertising market. CPV (Cost Per View). Price paid by advertisers per each new website or advertisement view. This rough scheme of the online advertising strategies does not reflect the real complexity of means at disposal, but can be useful as orientation guide for non-specialists. Each strategy has strengths and weaknesses. The ideal configuration changes according to type of business, budget available, goals set, market of reference and further factors. 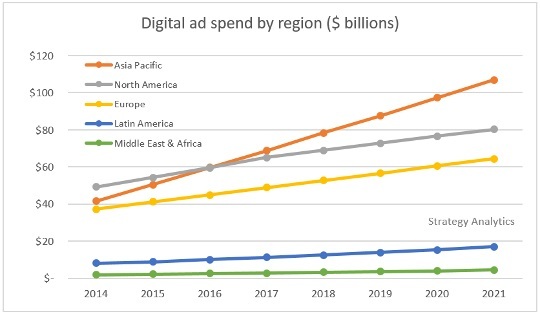 The digital advertising industry as a whole keeps on growing in terms of total spend at european level likewise worldwide. Ecommerce marketing for online shops rely on many kind of internet advertising solutions to boost online sales. It is not immediate to identify the best strategies, we often proceed testing different techniques and measuring results. For the purpose of this introduction to online advertising services and business website promotion it is worthy to better examine the third point: types of online campaigns. Being about advertisements on search engines it belongs to the wide baggage of SEM (Search Engine Optimisation) techniques. The undisputed player in this area is Google Ads (ex Google Adwords) which allow to advertise on google but not on other search engines. 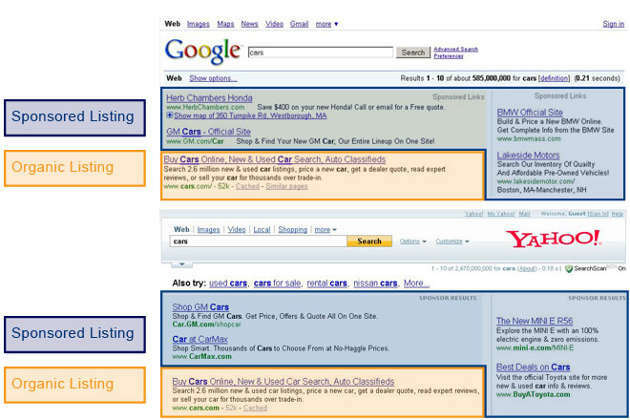 Who wants to advertise on Yahoo or Bing needs to use Bing Ads. Search engines in Russia or China rely on their own advertising platforms. Google adverts can be textual, graphic banners and video commercials. Within google search network can only be published textual ads and only when users digit keywords targeted by adwords campaigns. The most commonly used payment model for google adwords campaigns in the search network is pay per click (PPC). By this method advertisers set a maximum bid to compete in the advertising auction and costs are applied just after users’ clicks. Cost per click and click through rate (CTR) depend on advertisements quality, which is evaluated by Google through Ad Rank and Quality Score. If when an advertisement is published does not receive any click cost is zero with the benefit to have got a free impression. Google adwords allows to publish advertisements in different formats on websites belonging to google’s display network (AdSense). The choice of websites in which to show ads is up to the web marketer whose task is to leverage all information put at his disposal by the system (geographic, demographic and behavioural variables) to select the most relevant target groups. Given the immense potential audience reachable on Google’s networks, pay per click advertising management through Adwords platform has become a fundamental weapon for online marketing. Apart from adwords campaigns and its equivalents like Bing Ads, on search engines is also possible to advertise through the so called Search Retargeting, which consists in publishing advertisements to target users who have demonstrated interest in certain topics and product groups for visiting other websites on internet. Since search retargeting groups users based on their surfing habits is a form of powerful behavioural online marketing which guarantees good performances and high click through rates (CTR). Publishing ads on these channels satisfies the necessity to gather prospects in contexts deemed consistent with the target choosen and bringing them to your business website. A company which sells phone accessories, for instance, has all the interest to advertise on websites which sell mobile phones. In the past the ways this promotional technique was exploited were rather artisanal and implied a direct contact between advertisers and publishers. Nowadays the negotiation usually takes place through digital platforms and intermediary companies which manage the demand and supply meeting, as well as the criteria according to which advertisements get published. Affiliate marketing. It is a type of online advertising which consists in publishing promotional banners, video ads and other types of online commercials (pop up, rich media, etc.) on web spaces sold by third websites and web channels named publishers. The exchange is mediated by an intermediary firm which manages the affiliation program and put at disposal its platform to automatise the entire process. This way advertisers can count with a powerful tool to manage their campaigns and oversee costs. The typical cost model set with affiliate marketing is at performance. It means that intermediation services are not charged until users produce a valuable action on the advertiser’s business website (purchase, newsletter sign-up, pdf download, video view, etc.). Retargeting campaign. Ads get published wherever a publisher sell web spaces. The retargeting peculiarity consists in showing advertising only to people who earlier had visited the advertiser’s business website. Purposes might be: recover not finalised conversions, offer alternative purchase opportunities to a profiled target, reinforce brand awareness, etc. Likewise to affiliate marketing, there are intermediary companies specialised in this type of web marketing strategy which can be planned across the google adwords network as well. Remarketing campaign. Unlike retargeting ads which on the web “chase” people who have already visited your business website without producing valuable actions, remarketing advertisements address an audience of customers or active users who trust the brand. 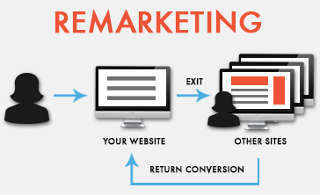 Remarketing campaigns aims at loyalising customers and reinforcing the relationship with clients. This online advertising strategy is not just a service managed by companies and agencies, but can be put in place independently targeting directly users registered in the business’ email database. RTB or Real Time Bidding. Digital marketing model which allows to buy advertising spaces bidding in real time in auctions with many advertisers. Originally these auctions were organised only for the unsold, that is for advertising spaces which had not received an offer. Now this model is asserting itself also in the premium spaces market. Likewise to retargeting and remarketing models, RTB is managed by specialised companies which publish asd on networks of websites affiliated to the program. The advantage of this type of internet advertising is the possibility to purchase advertising spaces at a lower price compared to other forms of display marketing. its payment model is CPM (Cost Per Mille impressions). Google display. We hinted at that before: it is the purchase of online advertising spaces on websites partners of Google and taking part at its affiliation program (AdSense). Google display service is manageable through the google adwords platform. The varied display advertising category encompasses other variants or types of online campaigns, like search retargeting we have already outlined before, which chase users directly on search engines and for this reason cannot be considered display advertising but rather a subset of SEA (Search Engine Advertising) which in turn is a subset of SEM (Search Engine Marketing). Whereas social media marketing is the strategic use of social channels and online communities for marketing purposes, social network advertising consists in publishing advertisements specifically on social networks. It is a strategy more and more exploited by companies which aim to leverage social networks’ peculiarities and grab the audience’s attention. Branding, increasing followers’ engagement, promoting services, boosting business website visits and conversions can all be goals pursued by social network advertising campaigns. The chief advantage of online advertising on social networks is the exploitation of geographic, demographic and psychographic data on users. This information is provided directly by users or derived from their activity within the channels, anyway it allows to tailor display banners and target a profiled audience. Each social network offers its own internal advertising management interface with specific functions constantly updated to provide advertisers and businesses with more powerful tools and better ROI opportunities. Ads formats vary based on web channels, they can be textuals, graphics, video or other variants. The typical cost models are Pay Per Click (CPC) and Cost Per Mille (CPM). 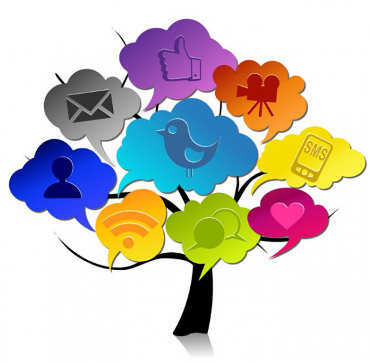 All social networks supply useful data to monitor campaigns performances and outputs. Integrating this information with website analysis data is the way to optimise online campaigns and calculate return on investment. In some cases companies specialised in retargeting campaigns offer the opportunity to do retargeting on facebook and other social networks besides their usual networks of affiliated websites. This is possible thanks to multilateral agreements between social networks and online advertising firms. Broadly speaking, social media advertising is a subset of online advertising which is growing rapidly and promises to absorb an increasing share of internet advertising budgets allocated by companies (not only b2c) of any size. Ecommerce websites have the chance to effectively promote products and services affiliating to shopping comparison websites. Online shops’ products catalogues get included in their database becoming accessible by users through website internal searches as well as through external search engines. Price comparison can be considered a type of online advertising as eShops pay to publish their lists of products so that to gain visibility on internet. Price comparison websites do not sell anything, just show lists of products from different eCommerce websites but belonging to the same category. 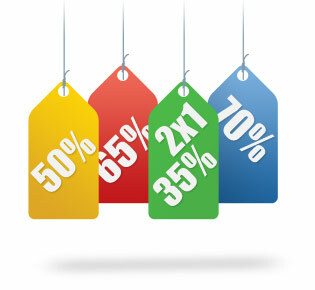 Usually each product advertisement shows price, image, features and description provided by its merchant. All listing products ads can be compared and filtered by price or other criteria giving a good service to users who can save time searching and money. When an advertisement is clicked user is sent to the online shop’s corrisponding page where the product selected can be purchased. Many price comparison websites apply a pay per click cost model called flat-rate: advertiser and publisher agree upon a fixed sum that will be paid for each click. Promoting an online shop by means of comparison shopping websites provides an important source of visitors and results in a higher web visibility. Online shops which do not fear to face the competition leverage this business promotional strategy to increase online sales and improve brand awareness. From this brief guide can be inferred that the internet advertising industry is extremely varied and keeps on expanding in new sophisticated forms. Each type of digital advertising service is usually managed by specialised firms, agencies and professionals who assist clients to achieve their goals. Nonetheless, a business should rely on someone within its personnel who can oversee and coordinate all online marketing activities. If due to budget or organisational issues is not possible to count with an expert internal to the organisation is recommended to entrust the management job to a specialised ppc agency. When a firm needs to launch an international pay per click campaign, targeting several countries, can entrust the localisation service management to a multilingual online marketing consultant. It does not hurt to highlight that prior to plan online advertising and launch PPC campaigns to promote the company’s website this latter should be optimised so as to respect accessibility and usability standards. A functional and effective business website is a prerequisite for any digital marketing campaign to achieve its goals. Likewise it is recommended to take care of the website search engine ranking through SEO optimisation. A good ranking for some products or services pages would possibly allow to save money avoiding the necessity of ppc campaigns to conquer the visibility lacking in organic search results. At last but not least, business websites need to be equipped with monitoring systems like Google Analytics in order to analyse users’ behaviours and measure online advertising performances. This implementation is a priority. Online data management and analysis makes the difference when carried out by dedicated professionals or agencies.